1. 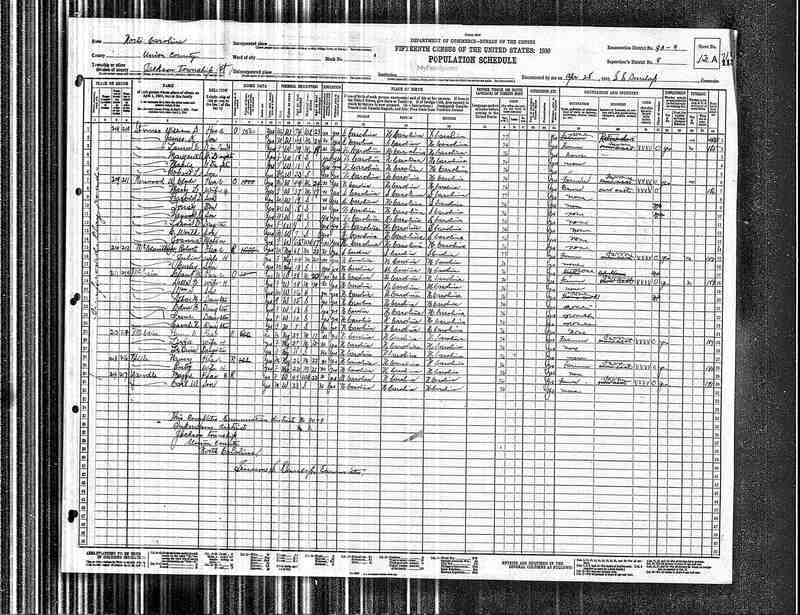 Appearance in Document: NC Birth Index, 1914, Jackson Twp, Union County, North Carolina, United States. 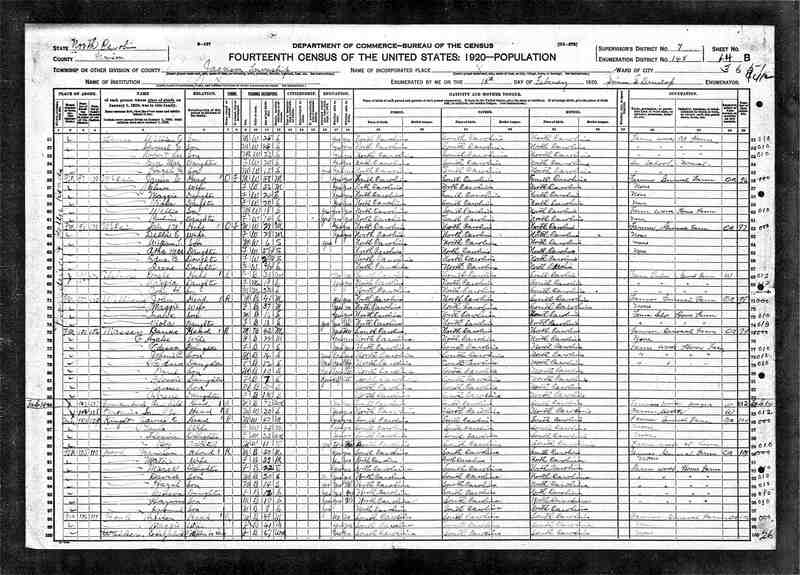 4179 1914, McCain, unnamed, child of C. M. McCain, Jackson Twp, book U page 290. 6) McCain, Irene, daughter, age 6/12, born NC, parents born NC. 7) McCain, Sarah N., daughter, age 8, attends school, born NC, parents born NC. 11. Hayes, Richard, grandson, age 0/12, born NC. 7. Residence, 1941, Jackson Twp, Union County, North Carolina, United States. 8. Residence, Dec 1946, Monroe, Union County, North Carolina, United States. 9. Residence, Sep 1949, Bonlee, Chatham County, North Carolina, United States. 10. Residence, 1954, Mt. Vernon Springs, Chatham County, North Carolina, United States. 11. Residence, 1959, Winston-Salem, Forsyth County, North Carolina, United States. 12. Residence, 1966, Winston-Salem, Forsyth County, North Carolina, United States. Athae McCain Councilman was resident of Route 1, Murray Road, Winston-Salem, when her husband Charlie died May 9 1966, according to his death certificate. 13. Residence, Sep 1977, Jackson Twp, Union County, North Carolina, United States. 14. Occupation: Drapery Seamstress. While living in Winston-Salem, she worked at Pennix fabric store as a seamstress, specializing in custom draperies. 16. Education. She attended school (approx. 7th grade) in Waxhaw, and got there by having her brother W.T. drive them both. At that time, no driver's license was needed. She graduated from Prospect High School in 1931 (from her diploma). 17. Story. Met Charlie while he was working on the construction of Route 200 near Papa's. He would drive to Waxhaw to pick up the mail for the crew, and he would pass the house and see her. He asked a friend to introduce them, and they finally met after a youth meeting at Walkersville. They were married on Christmas evening at 7 pm at the home of Rev. H A Key of Walkerville Presbyterian Church. 18. Story. Family moved around as Charlie moved. When they were first married, they lived at Pinetop. In 1940 they were in Powellsville, NC, then in Ahoskie in September 1940 where Shirley started school. They were in Ahoskie when Mama died in 1941, and they moved to Papa's so Athae Mae could take care of Papa. 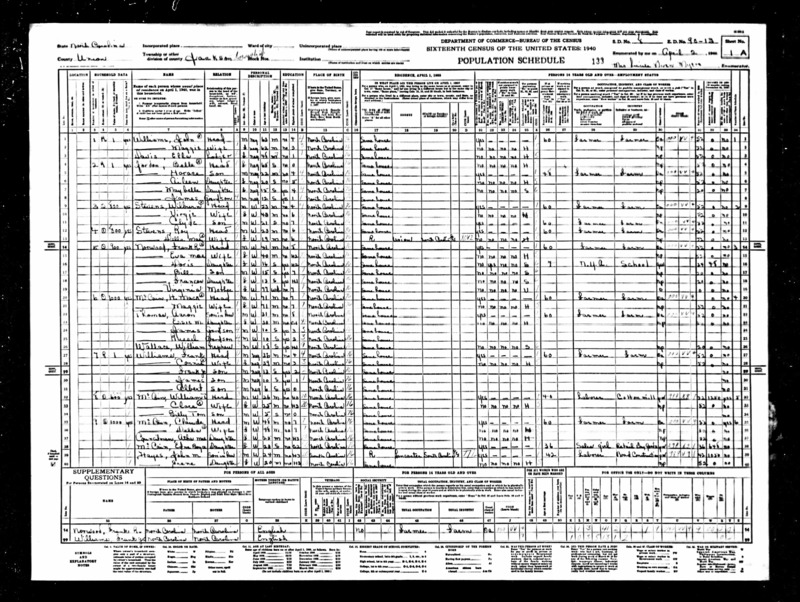 When Papa and Aunt Vee got married, the family moved to Monroe for 2 1/2 years beginning Dec 1946, then to Bonlee to take care of Oppie Jane in Sept 1949. Moved to Mt Vernon Springs in 1954. 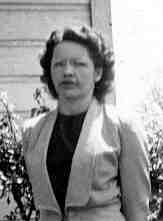 While there, she helped care for Robert Leslie Lindley when he was born. Moved to Winston-Salem in 1959, and bought a mobile home. 19. Story. After Charlie died, she married Terry Hope Laine on 15 Jan 1971. In Sept 1977, they moved the trailer to Providence Rd, Waxhaw, property adjacent to her parents home, where the trailer became the core of a new home. After Terry died, she lived alone in the house with regular visits from her children and their families. 20. Story. She had open heart surgery in June 1987. In 1994, she had a coughing fit due to her broncitus. The family convinced her to go to a hospital. While there, she was given a drug to control the coughing, but she was given too much. When the hospital staff realized this, they tried to transfer her to another hospital to get the drug out of her system, but the weather had made the roads icy and they were unable to move her. The excessive drugs in her system caused brain damage, leaving her with significant loss of memory. From that point on she was unable to care for herself. Family and friends took turns staying with her at her home. One day, the friends staying with her discovered her collapsed on the floor in the morning, probably as a result of another set of convulsions. She went to the hospital, and never returned to her home to live. When she left the hospital, she went to Guardian Care nursing home in Monroe, and only returned to her home on occasional visits with family and friends. She was at the nursing home when she died of Chronic Pulmonary Blockage. 21. Residence: 7620 Providence Rd: Waxhaw, Union County, North Carolina, United States. 22. Residence: Guardian Care Nursing Home, 1212 Sunset Drive: Monroe, Union County, North Carolina, United States. 23. Appearance in Document: Social Security Death Index, Jun 1995. 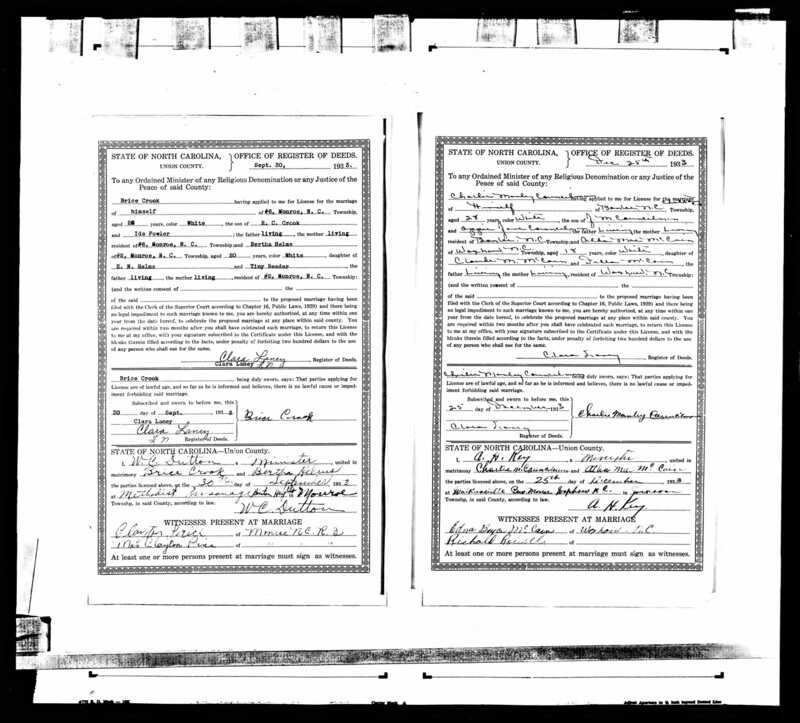 4268 Athae M. Laine, SSN 239-22-3316, Last residence 27051 (Walkertown, Forsyth County, NC), born 29 Dec 1914, last benefit 28173 (Waxhaw, Union County, NC), died Jun 1995, SSN issued NC before 1951. 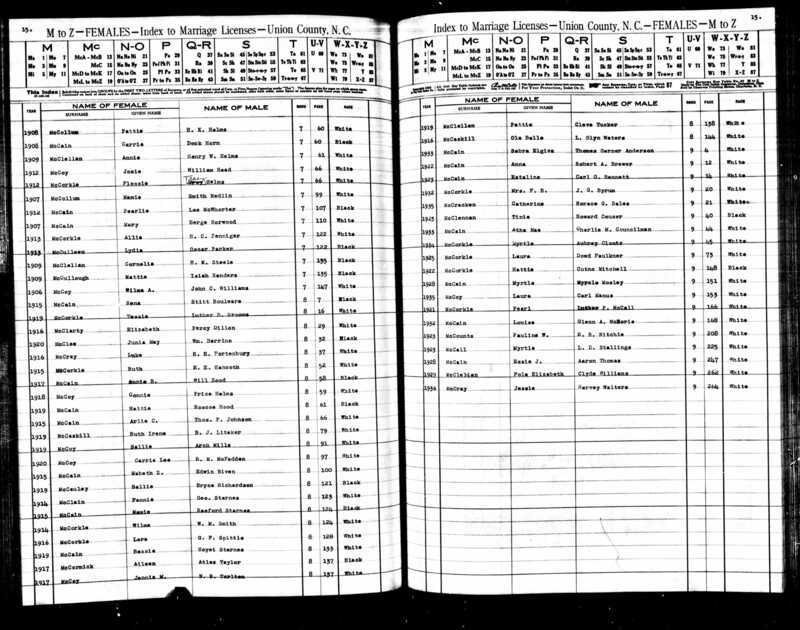 Athae married Charlie Manley* COUNCILMAN, son of John Manley* COUNCILMAN and Oppie Jane* BEAL, on 25 Dec 1933 in Walkersville Presbyterian Church, Union County, North Carolina, United States 2107.,4260 (Charlie Manley* COUNCILMAN was born on 23 Nov 1905 in Chatham County, North Carolina, United States,4065,4261,4262 died on 9 May 1966 in Winston-Salem, Forsyth County, North Carolina, United States 4064,4261 and was buried on 11 May 1966 in Hope Methodist Chuch Cemetery, Bonlee, Chatham County, North Carolina, United States 4064.). The cause of his death was Cerebral Swelling and Hemorhagic Infarction.